Yesterday was my first time visiting Pittsburgh. The transit scene there is colorful! Here's my video take on it! And here's a photo for photo purposes Enjoy, fans! 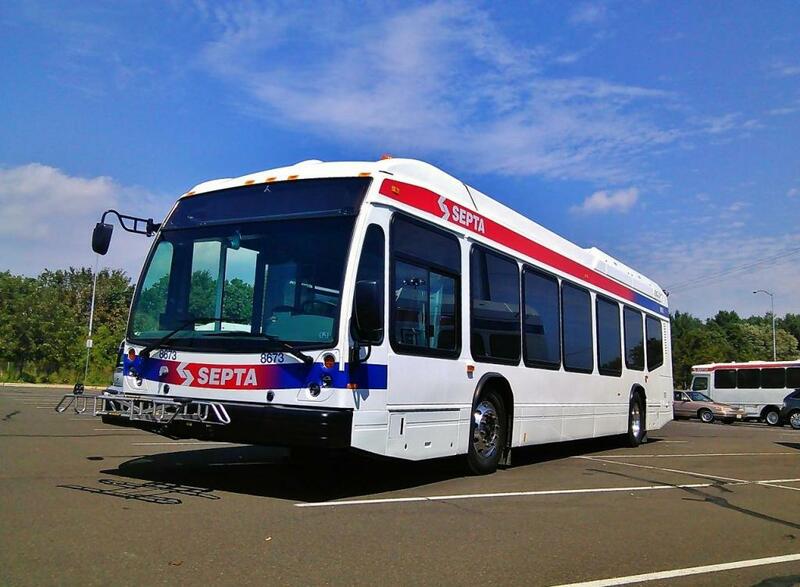 SEPTA's New Novabus LFS Artic Hybrids! Well I will run down the trolley system below. As for the Market Frankford, the line itself runs overnight but between 12:30am and 5:30am the line is operated by bus instead of train. The pilot program in place now is to allow the party-goers that go out on weekends to have a safe commute home - as apparently it's safer to sit in a train car by yourself isolated from society where anyone can attack you and get away with it than it is to be able to call the operator and have him help you within seconds... but that's none of my business... Anyway... The 10, 11, 13, 34, and 36 are the subway-surface trolley lines, run with popular single-ended Kawasaki LRVs The route 15 is the only true streetcar line, running 100% on the Street. This line is operated with rebuilt PCC cars with the occasional bus thrown in. The route 101/102 are suburban light rail lines watered down to trolley standards (because locals refused to accept anything that wasn't a trolley). These lines operate double ended Kawasaki LRVs with pantographs instead of trolley poles and suburban style seating. Thanks. Not a lot of people know (or understand) SEPTA's bus fleet, so I figured why not post it. This way in the future, anyone can find it. Same here. But at least they're trying... and also at least they have bus service along those lines so no one is stranded even if they don't. I know this is no time to be star struck but... OMG I SAW THAT BUS EARLIER TOO!!! December 15th, 2011: Subway, Regional Rail, and the all new Parkside Loop! December 14th 2011 - SEPTA Trollies Galore! December 14th 2011, A trolley kinda day! I can tell you right now that most (if not all) of the Newton Avenue Nova's are STILL in service and running rapid too! I went to our nation's capital this Saturday, here's the pics: Videos: Enjoy these pics and videos!